You can’t break the laws of physics, but the 2016 Suzuki Bandit 1250S ABS shows that you sure can bend them. Its Suzuki fuel-injected four-cylinder engine offers thrilling acceleration in every gear, with a rush of high-rpm performance. 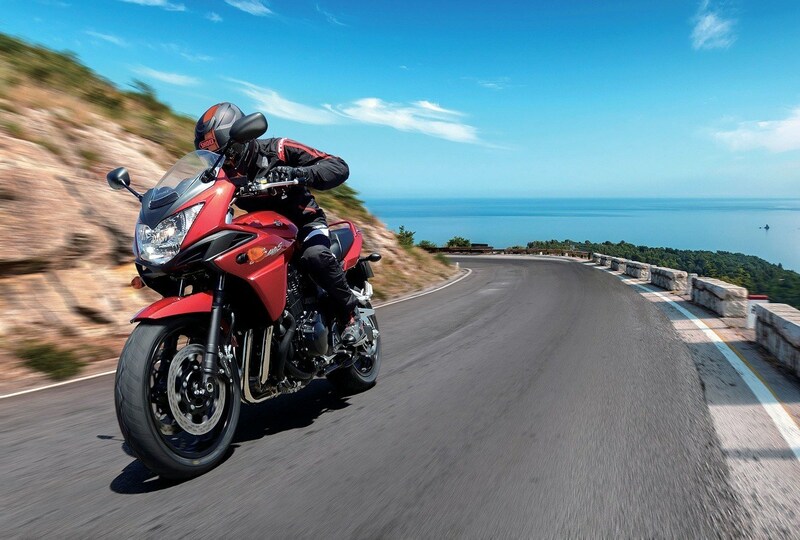 For crisp, precise handling on twisty roads, it has balanced suspension systems front and rear. It also features a technically advanced Antilock Braking System (ABS)* that monitors wheel speed, and matches stopping power to available traction. *Depending on road surface conditions, such as wet, loose, or uneven roads, braking distance for an ABS-equipped vehicle may be longer than for a vehicle not equipped with ABS. ABS cannot prevent wheel skidding caused by braking while cornering. Please ride carefully and do not overly rely on ABS. A convenient center stand is standard. 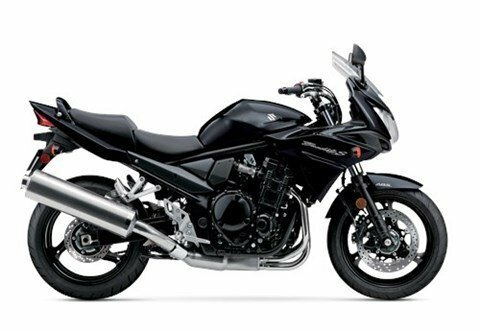 A variety of Genuine Suzuki Accessories for Bandit owners are available including a large selection of Suzuki logo apparel. 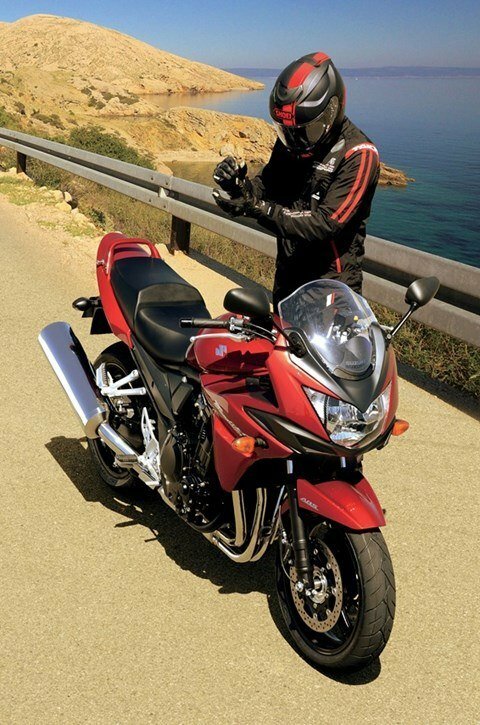 The refined half-fairing wraps around the radiator sides and is vented just below the headlight. In addition to sharpening the Bandit’s looks, the fairing improves aerodynamics providing riders with great wind protection and riding comfort. Hollow, three-spoke cast wheels feature 120/70ZR17 and 180/55ZR17 radial tires. The strong, double-cradle steel frame supports a stout set of SHOWA 43mm forks with adjustable spring preload. The single rear shock that works with a progressive, rising rate link system designed to respond smoothly to road irregularities. Rear shock rebound damping and spring preload are adjustable. Stopping power is provide by fully floating 310mm-diameter dual front brake discs with 4 piston calipers and a 240mm diameter rear disc brake with a single piston caliper. 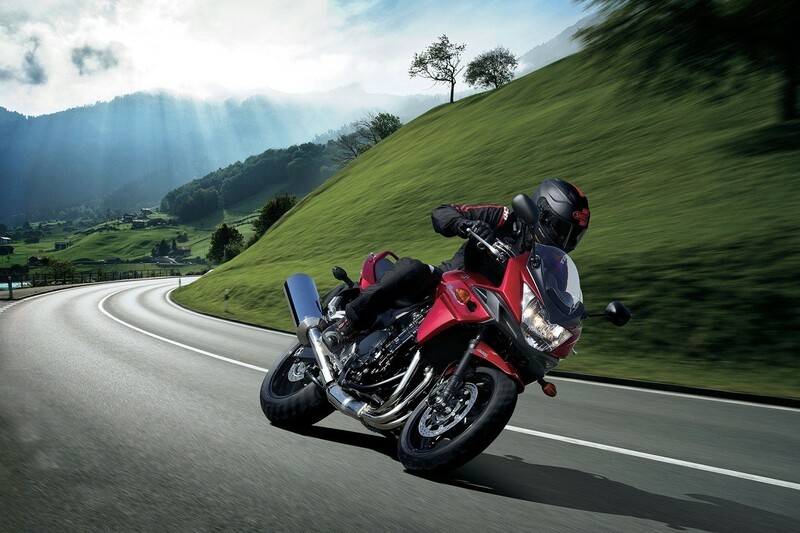 The standard digital ABS monitors wheel speed, matching stopping power to available traction*. Depending on road surface conditions, such as wet, loose, or uneven roads, braking distance for an ABS-equipped vehicle may be longer than for a vehicle not equipped with ABS. ABS cannot prevent wheel skidding caused by braking while cornering. Please ride carefully and do not overly rely on ABS. The analog tachometer on the left side of the instrument panel incorporates FI and ABS indicators. The LCD panel on the right side displays a digital speedometer and odometer, dual trip meters, clock, and a fuel gauge. The height of the comfortably contoured seat can be adjusted up or down by 20mm (0.78 in.). The passenger grab bar incorporates cargo cord posts. Powering the Bandit S is a 1,255cc liquid-cooled, fuel-injected, DOHC, four-cylinder engine delivering a wide spread of power for relaxed cruising or sport riding. Engineered for smooth operation, the engine has an effective secondary balancer shaft. Power is transmitted through a 6-speed transmission using gear ratios chosen for impressive accelerations as well as smooth highway use. Clutch operation is low effort and smooth, with low maintenance, thanks to a hydraulic clutch actuation system. The state-of-the-art Suzuki Dual Throttle Valve (SDTV) digital closed-loop EFI system also delivers improved mileage and reduced emissions. The 4-into-2-into-1 exhaust system is built of steel and stainless steel and is equipped with a catalyzer and HO2 sensor. The large silencer controls sounds while permitting excellent flow to maximize torque and overall engine power. To shed heat from the high torque, large displacement engine, a high capacity radiator is employed. Cooling air is directed to the radiator via the front fender and directed away by the outer fairing shroud. 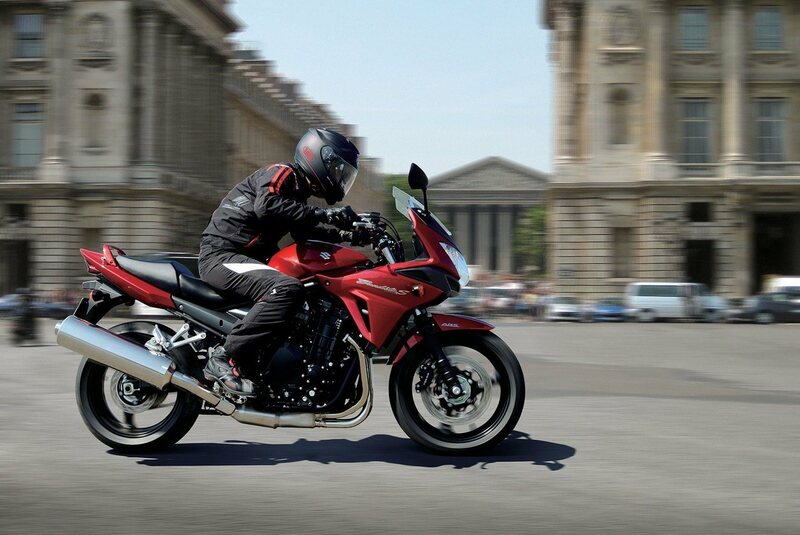 Additional engine cooling comes from a liquid-cooled oil cooler, similar to the type used on the GSX-R750.